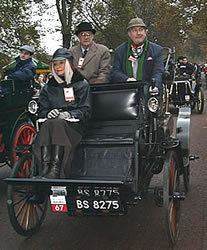 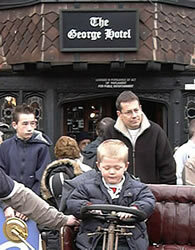 The London to Brighton Veteran Car Run takes place each year on the first Sunday of November. 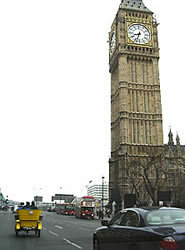 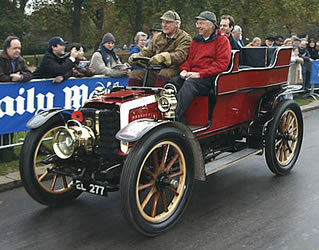 In 2011 the date is Sunday 6 November. 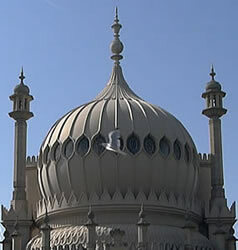 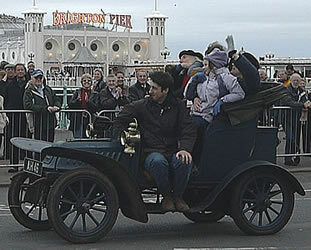 The first car run from London to Brighton took place on November 14 1896. 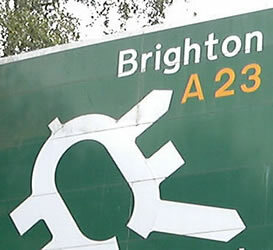 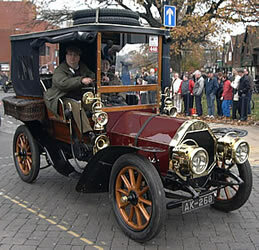 It was organised to celebrate the passing of laws that allowed motor cars to drive on English roads, although the speed limit was set at only 12 miles per hour. 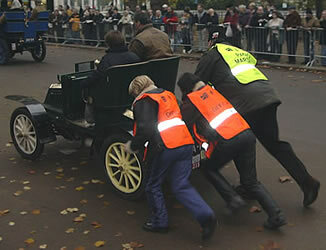 In 1927 there was a re-enactment of the run, and it has been repeated each year since then (except during World War Two). 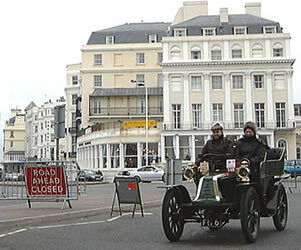 Spectators can enjoy watching the cars pass at any point along the route. 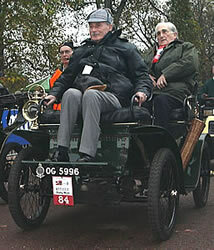 You may notice a few differences between the veteran cars and the modern day versions ...! 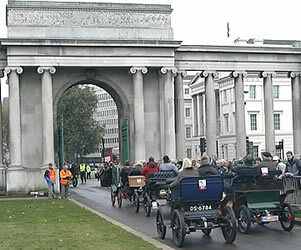 Crowds gather for the start at Hyde Park (in central London). 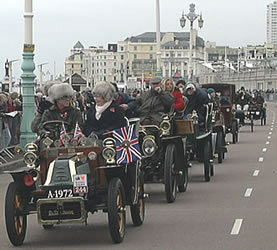 The cars line up and last-minute preparations are made. 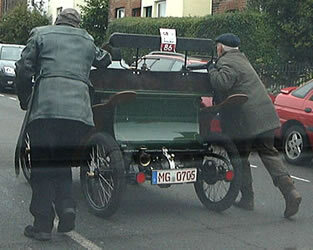 ... or running uphill at 2 man-power! 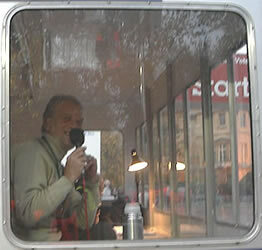 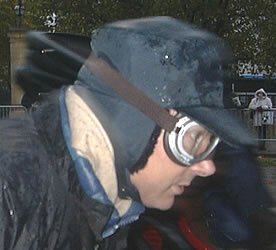 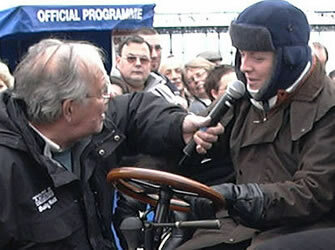 ... or a bit of driving practice! 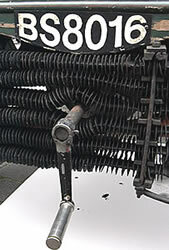 Have we got any spare parts? 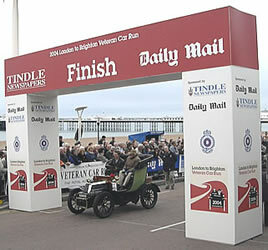 ... and over the finishing line! 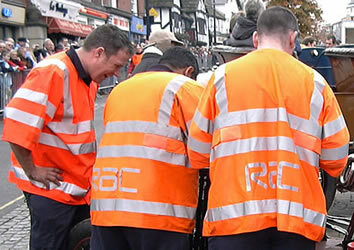 Some of the successful teams are interviewed. 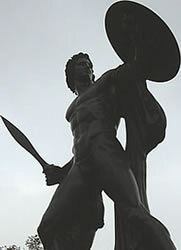 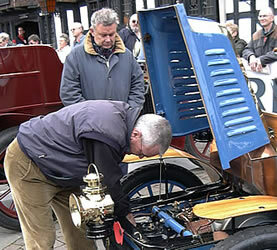 For practical details about attending this year's event, see: Ideas/Events/November. 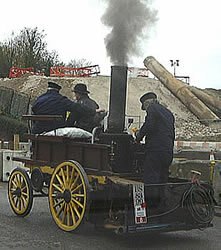 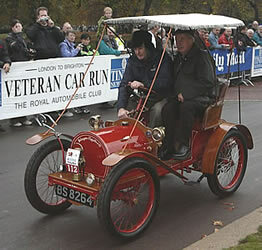 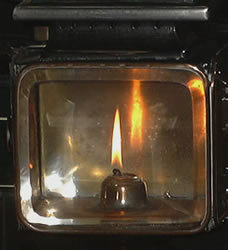 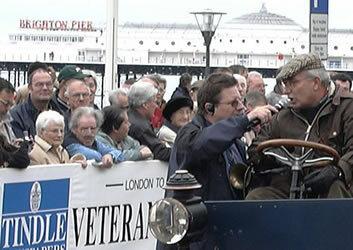 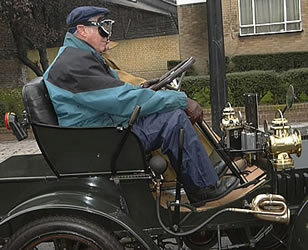 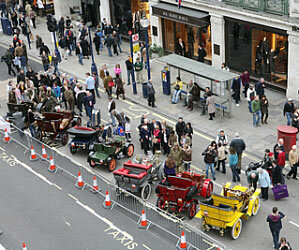 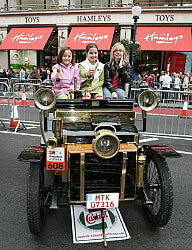 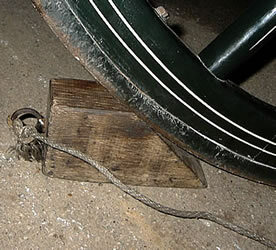 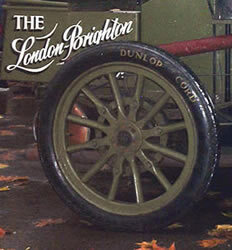 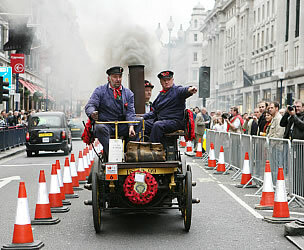 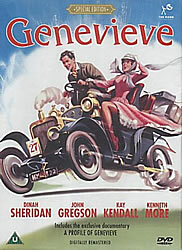 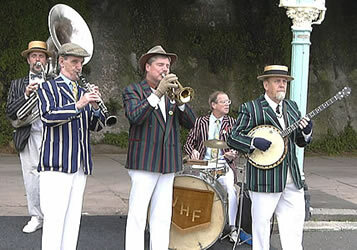 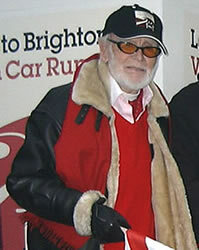 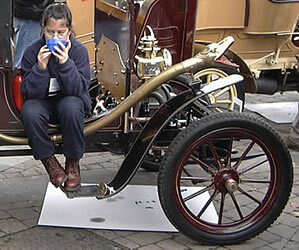 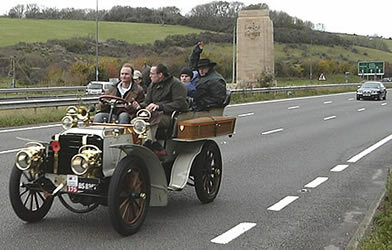 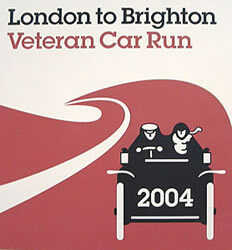 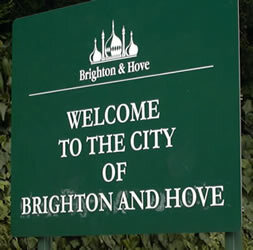 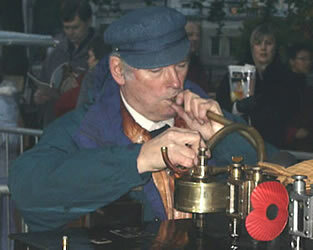 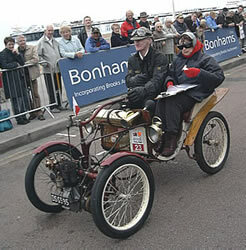 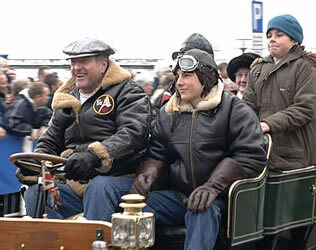 The official website for the London to Brighton Veteran Car Run: http://www.lbvcr.com.